Our custom websites are built to fit the specific needs of your business and increase your competitive edge. At 3wCommunications, we believe that your website should be more than just a page which gives visitors information about your business and the different products or services you are offering. In fact, your website should be a place that Internet users would want to visit again and again. And that is exactly what we will do for your website with our custom website development services. Through a combination of website design, e-commerce development, CMS and search engine optimization, our web developers will customize your website to attract and direct the right audience and maximum amount of online traffic to your website. Our web development professionals will also make use of the latest content management systems available to keep your website on top of the rankings in the major search engines. It’s important that your website deliver a positive user experience. 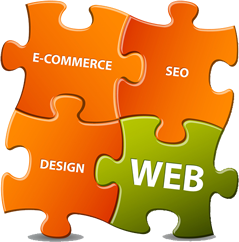 The web developers at 3wCommunications are also capable of completely re-modeling your website from start to finish. This includes designing a brand new logo for your business and creating an innovative website layout that will leave a memorable impact on your visitors. Contact us today to learn more about our custom website development services and what tools we use to increase the online presence of our clients. Send us an email to info@3wcommunications.com or call us at 856-482-2424.